Taizé is the name of a French town where an ecumenical community was formed in 1940 by Brother Roger. Brother Roger and other parish brothers created a prayer service that included songs from many languages so that all who came to pray and seek shelter could participate. Today, Taizé prayer services are used by many faiths throughout the world. As you enter a Taizé prayer service, you will immediately be struck by the environment: a candlelit altar or focal point adorned with sacred symbols plus gentle music in the serene darkness. Sacred readings, sung chants, and prayerful silence are the elements of the Taizé service that invite worshippers to prayer. 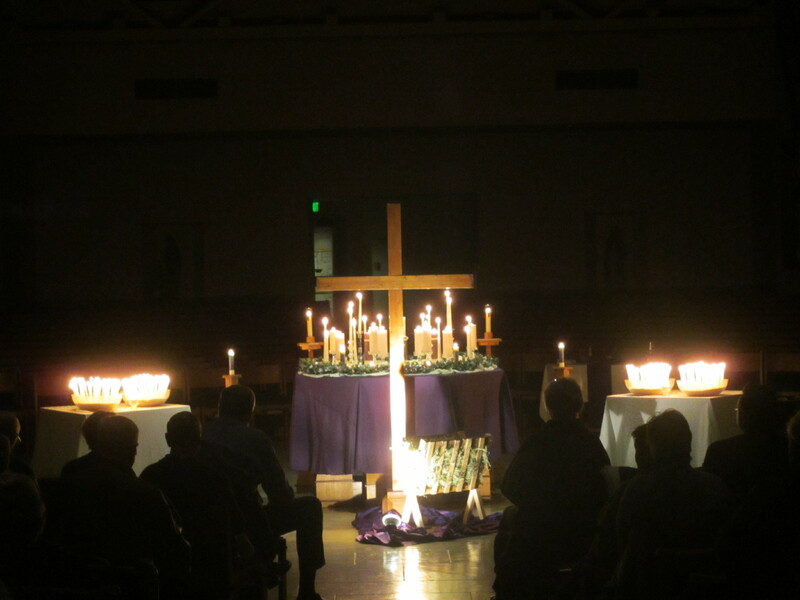 St. Francis of Assisi offers a Taizé prayer service during Advent and Lent. The Resurrection Choir sings for funerals at St. Francis. Subscribe to this email list to receive notifications about funerals and music to be sung at them. You don’t need to commit to every funeral. Come when you can. This email list will let you know when the music listing, which is posted on our website, is updated. Of course, you can always check on your own, but subscribing to this email notification will give you a heads up when new content is available.